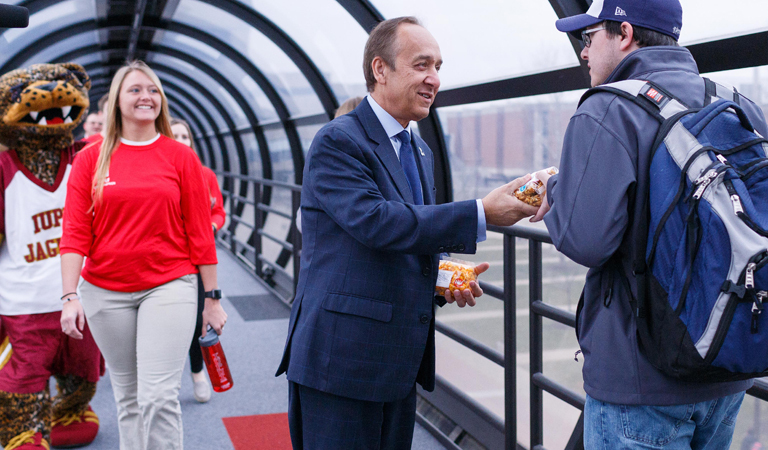 Chancellor Nasser H. Paydar hands out popcorn with students to kick off the 2017 Campus Campaign. 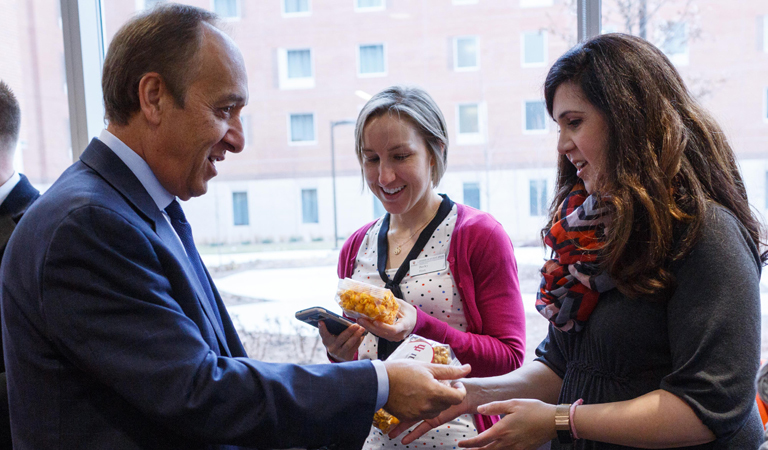 Chancellor Paydar hands out popcorn to staff and faculty to kick off the 2017 Campus Campaign. 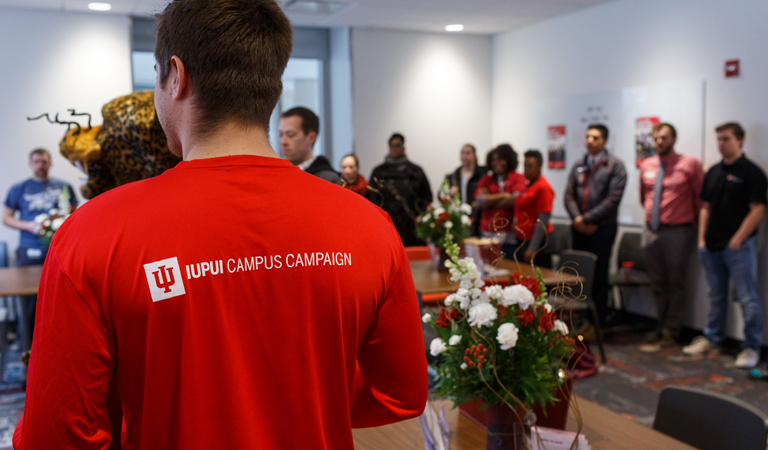 Students wear the 2017 Campus Campaign apparel. 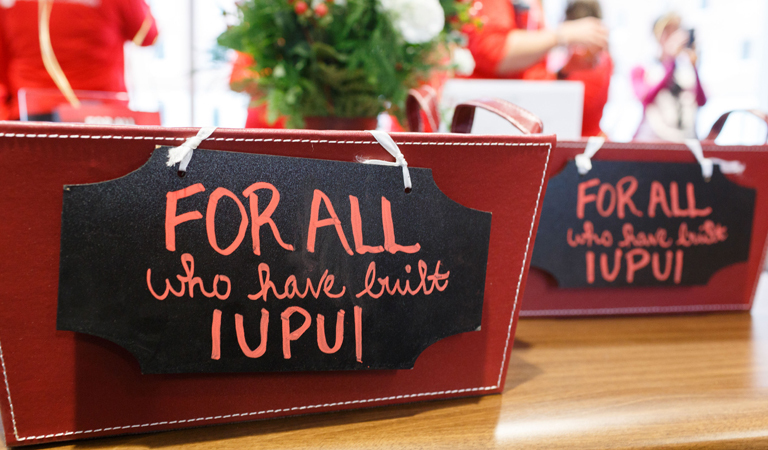 The 2017 Campus Campaign is for all who have built IUPUI. 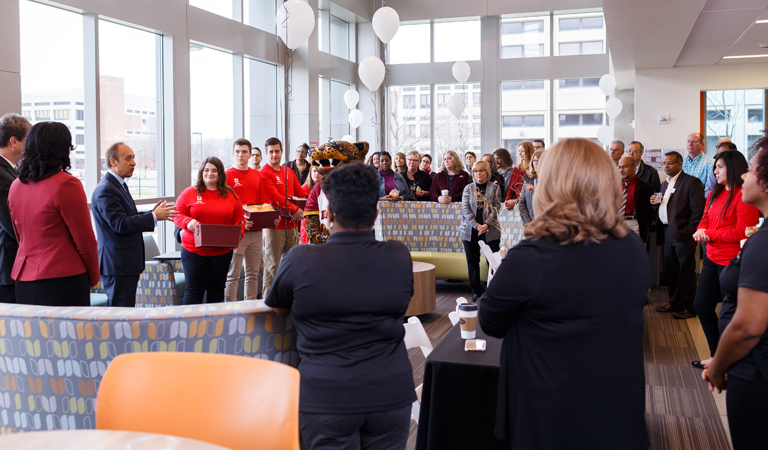 Chancellor Paydar greets residents at North Hall for the 2017 Campus Campaign kickoff. 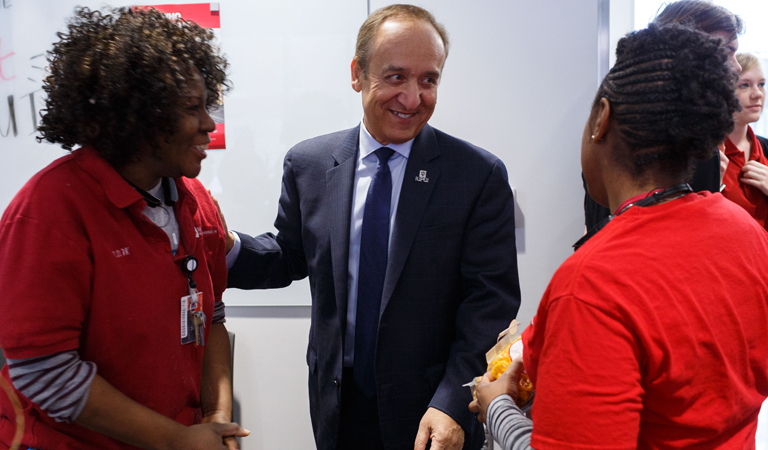 Chancellor Paydar greets faculty and staff at North Hall for the 2017 Campus Campaign kickoff. 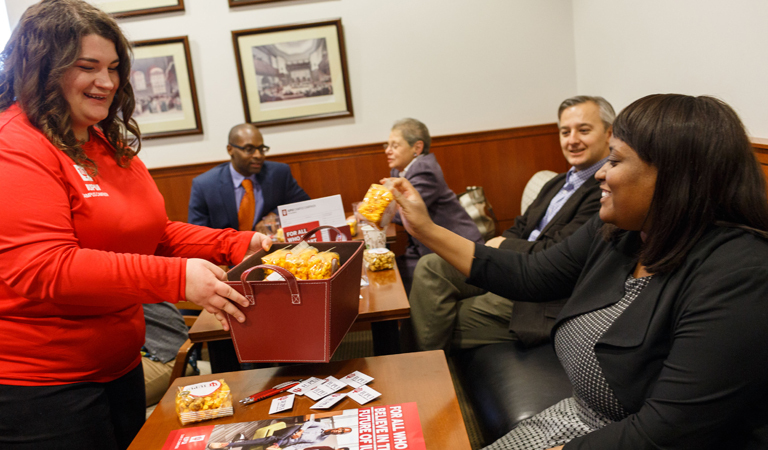 Students hand out popcorn at Inlow Hall to celebrate the 2017 Campus Campaign kickoff. 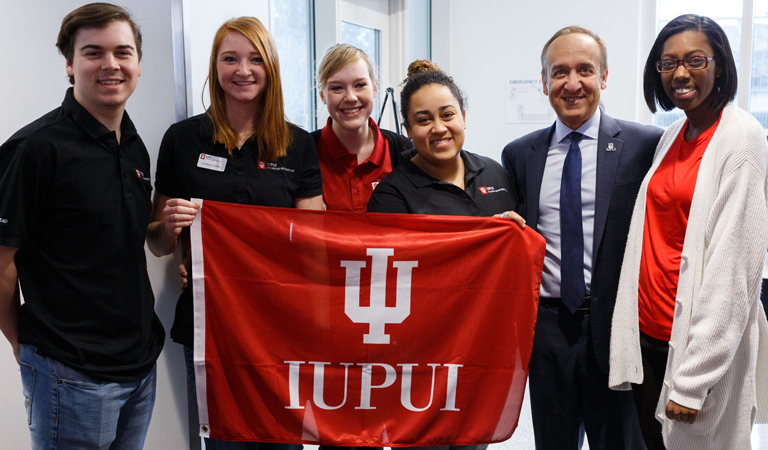 Chancellor Paydar speaks about the 2017 Campus Campaign at the Science and Engineering Laboratory Building.